​Why marketing is just worth it! So you’re a copy-editor, and one of the clients you’ve been working for over the past seven years has, yet again, failed to increase their hourly rate. You’re worse off in real terms than you were last year, let alone in 2009. Ugh. ​Or perhaps you’re a proofreader who’s paid on a flat-fee basis by another publisher. The fee is based on the number of pages per book. Over the past six months, you’ve noticed that the typesetter has been squeezing another 100 words on a page by reducing the font size. Over the course of a 250-page book, this amounts to you having to proofread an additional 25,000 words for no extra cash. Given that you proofread for this client at a speed of around 5,000 words per hour, that’s an extra five hours of work that you’re no longer being paid for. Ouch. A self-publishing romance writer tries to haggle you down to £4 per 1,000 words for a 100,000-word book. She wants the fee to include a copy-edit AND a ‘quick follow-up proofread’. She feels that your fee of £9 per 1,000 words is way too high and out of line with what other editors are charging. You thought you were giving her a fabulous deal, given that she’s getting two different and separate editorial passes from you for £900! Headdesk. A PM agency with whom you’ve worked in the past asks you to do a top and tail of a PDF with some Q&As. They also want a basic howler check and a layout review. It’s a sort of semi-proofread. There will be other similar jobs over the forthcoming weeks. They estimate that each job will take two hours. They offer you a flat fee of thirty quid for each job. £15 an hour for your level of experience? Sob. Lobby the industry via a union or professional society? Talk a lot about how unfair these clients are being, how disrespectful it is considering the value you bring to the table, how they’re taking the biscuit and making a mockery of professional editorial work? Holy moly, you say, this editorial freelancing lark is becoming a joke. If you have regular clients who are offering, say, complex projects worth several thousands of pounds, it may, indeed, be well worth your while to enter into extensive negotiations so that it’s clear to the client why what they’re offering is unrealistic and unacceptable. The time you spend on these negotiations could turn out to be worth the investment if you can find some acceptable middle ground. If, however, you’re dealing with projects worth a couple of hundred quid or less, negotiating may not necessarily be the best use of your time. Instead, you could use it to find new, better-paying clients. How about working more efficiently, using tools such as macros? If you’re not already using these tools, then introducing them into your workflow could help tip the situation back in your favour. If the client is offering a fixed fee, but with more words per project, speeding up could even increase the amount you earn per hour, never mind maintaining the rate you used to earn. If, however, you’re already macro-magnificent, ReferenceChecker-resplendent, PerfectIt-pretty and wildcard-wonderful, this isn’t going to provide you with a solution. How about lobbying the industry? You could ask your professional editorial society or freelancing union to step in. But let’s be honest – the mainstream publishing industry is global and consists of hundreds of separate businesses operating under capitalism. It would be a tricky job for the society/union in a command economy, but in a capitalist one? Don’t hold your breath! 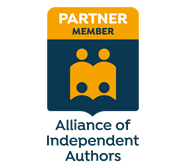 As for all the other clients – independent authors, businesses, students, charities and schools, for example – they don’t make up a unified industry. Who are you going to lobby? So how about feeling upset, disgruntled, undervalued and disrespected? By all means, go ahead. It won’t change anything, though you might get an extra-big hug from your partner and some sympathetic ‘poor you’s from your best mate. What if there was another option, though? How about if you just politely waved goodbye to the project offer that doesn’t meet your financial requirements, confident that you can fill that job slot with something else – something that pays you the rate that you want to earn? After all, you’re not obliged to accept the work. Not being obliged to do a particular piece of work for a price set by someone else is one of the joys of successful freelancing and a key element of being self-employed. If you work for a publisher, magazine, charity or school (or any other business you care to name), part of the deal is that you may well have to undertake types of work at times and places that you don’t like and that aren’t convenient, things that are not written into your contract and that, officially, you’re not being paid to do. But you’re an employee and you don’t get to bargain over your salary every time something comes up that requires you to give a little extra for the sake of goodwill and a comfortable appraisal. Your employer is in charge and in control. Perhaps your efforts will be rewarded further down the line – you might be promoted or given a bonus. It’s not guaranteed, though, and you’ll rarely be in a position to force the issue. Being employed often means making do – the benefit is that, unless you’re on some dreadful zero-hours contract, you get paid even on a slow day, or when you’re ill or on holiday. Importantly, your employer will take responsibility for sourcing customers. But me and you? We’re the owners of our businesses and so it’s up to us to do the work we like, at the times we like, for the pay we want. Holidays and sick days don’t pay. We do, however, have the right to decline a job. And because we own our own businesses, it’s not X University Press’s responsibility to pay us a fee that’s good for each of our business models. XUP’s responsibility is to pay us a fee that’s good for its business model. We, and only we, have responsibility for deciding whom we work for and which projects we accept or decline. Importantly, we have to take responsibility for sourcing customers – there’s no one else to do it for us. We’re in charge and in control. That’s where marketing comes in … and in Part II, I take a closer look at the benefits of proactive promotion. Woo! Go, Louise. Yes, yes and yes to this!